The best thing about wireless networks is that it allows file sharing, Internet connection sharing, printer sharing, etc. Thanks to this invention, people are able to work from home using just an Internet connection. All that needs to be done is installation of a wireless network adapter on the laptop and you are on the move. The network allows the user to do everything provided there is wireless network signal available. When sharing important and sensitive data and information on the wireless network, security concerns rise up. This is because most wireless networks extend their signal or reach more than 300 feet from the router. Thus, people living nearby can also access and connect to the wireless network. Learn how to protect data on a home wireless network to ensure that you and only those authorized can view it. While having a wireless connection means little to no wires and the prospect of being able to go anywhere that has an access point, there are inherent problems with wireless network. The number one problem is that if a wireless network is not secured – that is, a password is not set for authorized use – anyone within range of the network can easily sign on to it. This is a problem as anyone in the area can view and may have access to your documents and files, such as banking and financial information and passwords. Hackers and thieves can then use this information for identity theft, which can harm you financially. There are several ways that you can secure a wireless connection to ensure that you and only those that are authorized by you can have access to the network. Install a Firewall: A firewall acts like a defence against intruders by blocking all unauthorized accesses. Default passwords: Make sure you change all default passwords and usernames that are set by the manufacturers as these can generally be found on their website. Hackers can easily avail this information. Thus, it is a good idea to change them and regularly update them. Turn on Encryption: The encryption technology scrambles messages that are sent on a wireless network so that hackers or intruders cannot understand the content. This decoder does not allow other to understand the data and is an important security tool. Turn off SSID: The SSID or service set identifier is equivalent to an address that is broadcasted by a router. It is advisable to change the default name to a number and turn it off so that it only covers the house. 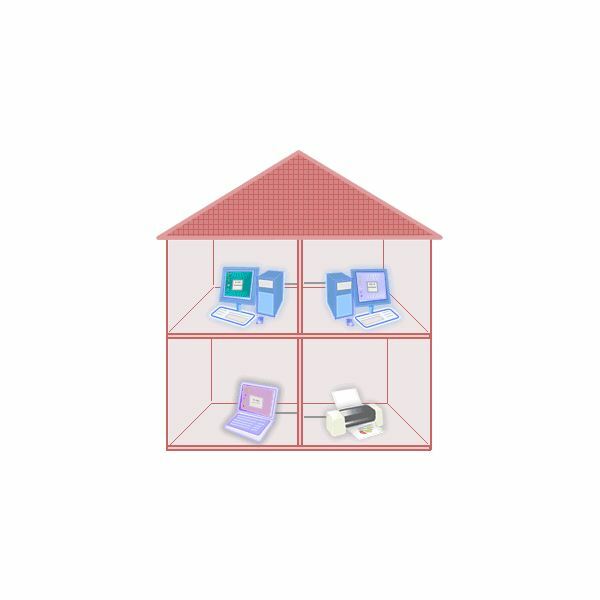 Use VPN Tunnel: A virtual private network secures the home computer through a tunnel that leads to the work computer. This is a safe, quick, and easy mode to transfer sensitive data from the server to the computer. MAC Address Filter: Enable the MAC filter within the router's configuration site so that only those computers that are entered are allowed access to the network. Like all good things, the home wireless network also comes with risks. By following the simple steps outlined above, users can secure their wireless network and confidential and sensitive data and information.